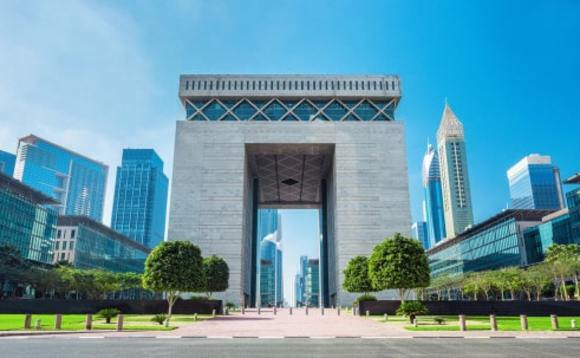 The Dubai International Financial Centre (DIFC) has a new strategic initiative with plans to attract more global financial services business – particularly from South East Asia – and a new series new financial services products coming from Dubai. Following a recent drive by Sheikh Mohammed bin Rashid Al Maktoum Vice-President and Prime Minister of the UAE and Ruler of Dubai, aimed at ‘catalysing economic growth’ in Dubai and attracting global business to the Middle Eastern destination, the DIFC has today announced its new strategic plan. The DIFC said in a statement that its three-pronged initiative will focus on: (1) attracting foreign direct investment (FDI), particularly from south-east Asia, (2) enabling Dubai Government entities to complete financial services within DIFC, and (3) facilitating the provision of financial products through Dubai. Essa Kazim, governor of DIFC and chairman of the DIFC Authority Board of Directors, said: “We are at an intersection point in Dubai’s history, not only as a global economic centre, but also given the strong foundations it has built for a sustainable economy. Kazim added that the DIFC has recently made “significant achievements” contributed to Dubai’s global position as one of the world’s top 10 international financial centres and the number one in the MEASA region and added that this new initiative also aims at “cementing Dubai’s role as a strategic centre for China’s Belt and Road initiative. Registered Chinese financial institutions in the DIFC continued to report growth in 2017, where the total value of their assets reached $33.4bn, accounting for 22% of total assets booked in the centre as at the end of Q3 2017, a 30.5% increase from year-end 2016, the DIFC said. The DIFC is also home to China’s four largest banks in terms of total assets; Bank of China, Agricultural Bank of China, ICBC and China Construction Bank Corporation. The DIFC’s third initiative aims at facilitating the provision of financial products from Dubai to local and regional markets, by “coordinating with local and federal regulatory bodies and deploying capabilities to avoid any obstacles facing the provision of these products”. This initiative is expected to increase financial investments in Dubai and boost Dubai’s wealth management capabilities, with 195 Wealth and Assets Management firms currently operating from DIFC. Sheikh Mohammed bin Rashid Al Maktoum has recently enacted two new DIFC-related laws – the Trust Law and Foundations Law – aiming to “improve and expand” the centre’s private wealth management and succession planning platforms.